Audience engagement is a quickly growing trend in theatre, with more and more productions using it to gain attention, market their shows, and attract audiences. But what exactly is audience engagement? Read on to find some great examples of audience engagement, as well as answers to some questions you may have about what audience engagement is and whether you should consider it for your musical. What exactly is audience engagement? Audience engagement is, to put it simply, connecting an audience to a show. This can be done in many ways, from a simple social media campaign to a large scale VIP experience. The main goal of audience engagement is to create a personal connection between an audience member and a show. Many people assume that engaging an audience means using interactive or immersive theatre, where the audience has a chance to participate in the show itself. While this type of theatre can certainly be a kind of audience engagement, there are many other ways to engage an audience. They can include something that happens before a show, during a show, after a show, or a combination. They can incorporate technology or have nothing to do with it. In fact, a project we’re currently working on uses a simple piece of paper to engage the audience long after the show has ended (but more on that another time!). Our strategies never make an audience member feel uncomfortable. Some people still just like to dress up, go the theatre, and watch a show. And that’s ok! Remember, audience engagement frequently doesn’t mean interacting with an audience during a show. Often the engagement can be as simple as submitting a photograph a few days before the show, tweeting from a show, or sticking around for an added experience following a performance. Our ideas give audiences an opportunity to take their theatre experience one step further, but it’s completely up to each person to decide how much he or she wants to participate, if at all. Those who choose not to participate will still be able to completely enjoy the production. We never EVER sacrifice the quality of a production in order to implement a strategy. Quality is always the top priority for the audience, so that means it’s our top priority as well. Engaging an audience is something special and fun, but no matter how fun it is, it doesn’t help a show if it interferes with the quality of the show. So why should I consider audience engagement for my musical? Audience engagement can be a great marketing tool for a musical. In fact, many times engaging an audience translates into word-of-mouth advertising, which is the best kind! Certain kinds of audience engagement campaigns can even serve as add-ons to tickets, creating another source of revenue for a musical. As everyone in the business of making musicals knows, making money back on a musical is anything but easy, and using audience engagement is an unconventional way to help investors get their investments back faster. Not all musicals need audience engagement to be successful; however, it is a quickly growing trend that’s only just getting started. While audience engagement can be brought in at any stage of musical development, the earlier an audience engagement specialist is brought into the creative process, the more time he or she has to create opportunities for engagement! What are some specific examples of audience engagement in a production? Row L Seat 1 is hard at work on some top secret projects right now involving some pretty cool audience engagement if we do say so ourselves! In the meantime we’ll share some audience engagement examples from other musicals and plays that you might be familiar with. Please note, these examples were not our ideas, but we sure love them! Also note that none of them interfere with the quality of the production, and they are all completely optional to participate in. In the musical Once, the pre-show bar on stage with the cast pouring drinks is a perfect example of audience engagement. It’s also an example of a way that audience engagement can increase profits for a musical. In The Curious Incident of the Dog in the Night-Time, certain seat numbers that are tied in to the show have something special on the seat (I won’t give away what it is for anyone that hasn’t seen it). It’s nothing big, but it’s something a little extra to add to the experience of the show. 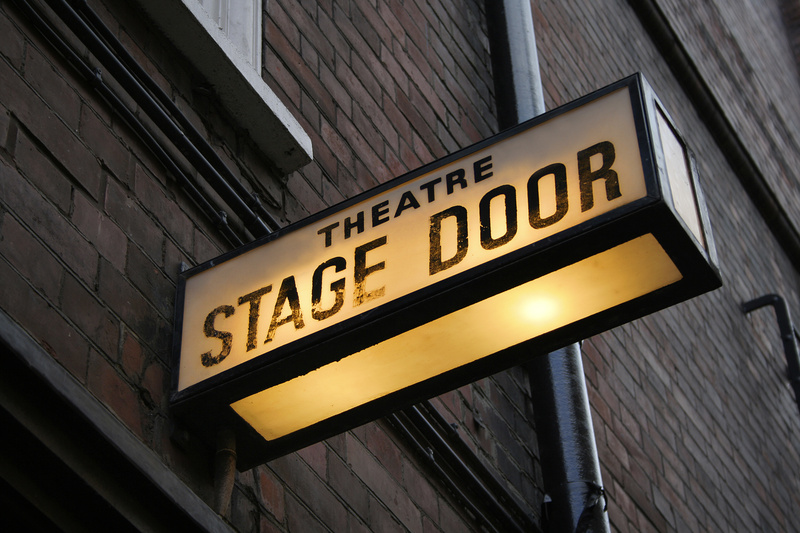 If you’ve been to any show on Broadway, chances are you’re familiar with the Stage Door. It’s the door where the actors exit following the show, and many actors will come say hi to fans, sign Playbills, and even pose for photos on their way out. Believe it or not, this is a kind of audience engagement! I like the sound of this! What should I do next? Contact us! We’ll work with you to develop a plan that suits your show and budget. You can email Kim Barger, Audience Engagement Specialist, at kim@rowLseat1.com. Kim will be happy to chat with you about your show and answer any questions you may have about audience engagement.